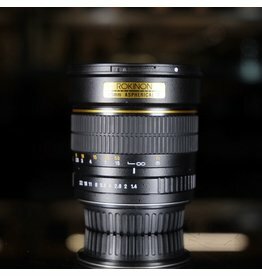 Rokinon 85mm f1.4 Aspherical IF lens for Canon EF mount. A good quality manual-focus portrait lens for EF film and digital cameras. Fully manual- there are no electronics in here. Clean glass, excellent cosmetic condition. Includes hood and box.